With spooky season behind you and cozy season upon you, it’s time to remind your besties how thankful you are to have them in your life. 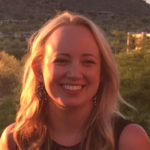 What better way to practice gratitude towards your friends than with Friendsgiving? Whether your feast is inspired by Pinterest or a host of different family traditions, your friends will be sure to indulge. 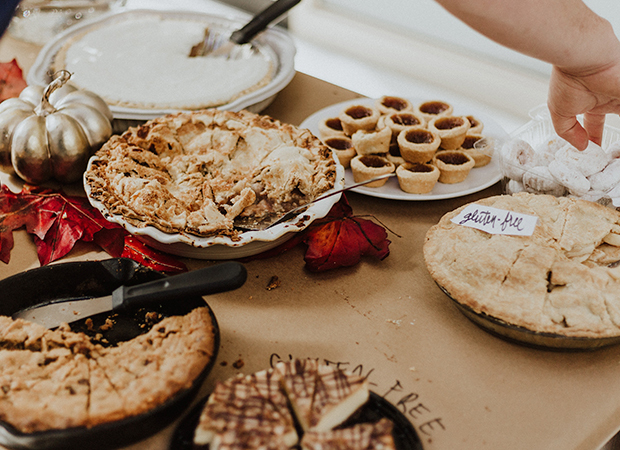 Pour yourself a cup of hot apple cider and start planning your very own Friendsgiving with these simple steps. 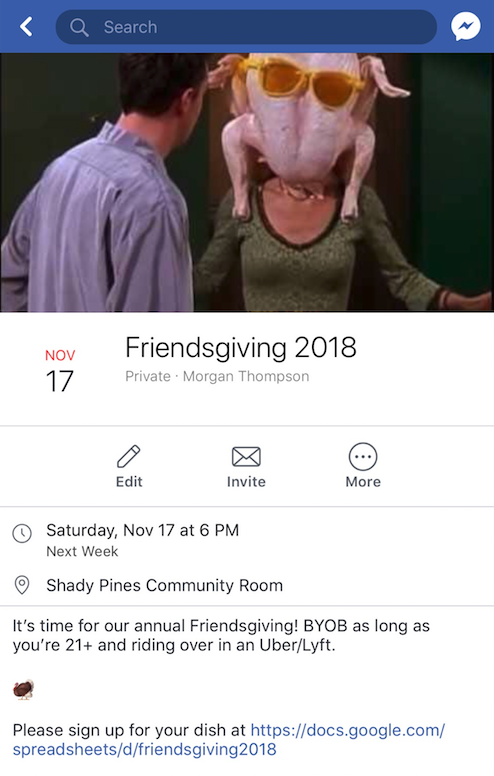 Weeks prior to Friendsgiving, send out a Facebook event invite. This allows for a guesstimated headcount. Be sure to plan the time around college football or NFL games for the fans among us. If you are in an apartment complex with a community center, be sure to reserve it in advance as it can fill up around the holidays. Remind your friends to secure a designated driver or take an Uber or Lyft if they plan on having libations. Seven bowls of mashed potatoes? Let’s hope someone remembered to bring the gravy. Avoid duplicated dishes by creating a Google Sheet. Divide the sheet into categories and provide staple dishes with corresponding columns for guests to claim the dish with their name. Share this by providing the link in your Facebook event summary. A college budget doesn’t put Friendsgiving off limits. Stores like the 99 cents only and dollar tree have plenty of utensils fit for a crowd. Feeling green? Encourage your guests to bring their own glass containers for leftovers and reusable utensils like these that GradGuard hands out at conferences. Be sure to empty out your fridge to make room for all of the dishes. Make note of how long each dish will need to heat up and where it can be heated (oven, stovetop, or microwave). Set up stations for appetizers and drinks, the main feast, and dessert. Designate bins for trash and recycle. It’s not uncommon these days to transform Grandma’s classic green-bean casserole into a vegan-friendly recipe. When your guests arrive with their dish, hand them an allergen card. Here they can label the name of the dish and they can circle if its considered gluten-free, vegan, vegetarian, dairy-free, or nut-free. Once all of your guests are seated with a mountain of food in front of them, it’s time for a toast. Remind your friends how grateful you are for having each one of them in your life. Give a cheers to the midterms being behind you and wish your friends luck in the remainder of the semester. They may think it’s corny, but have each person go around and say one thing about your collective friendship that they are most thankful for. After everyone has loosened their belts a notch, have them get in line for one last round to fill their containers with leftovers until the pans are empty. Offer to clean the pan there or set a reminder to bring it back to them next time you see them. GradGuard’s employees celebrate the company of one-another each year during a Friendsgiving with their sister company Bindable. From a Bindable Agent’s famous butterscotch bread to GradGuard QA Manager’s mac and cheese, the feast is an event to look forward to. We encourage you to bring Friendsgiving to your university dorm room or internship office, too!